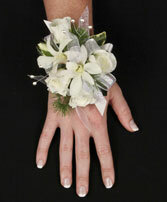 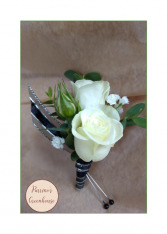 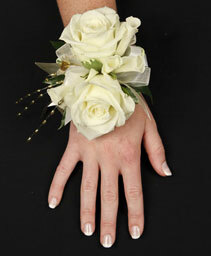 White Rose Corsage with accents of black and silver. 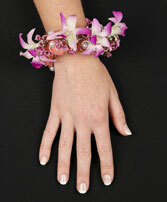 A mixture of roses and succlents with crystals. 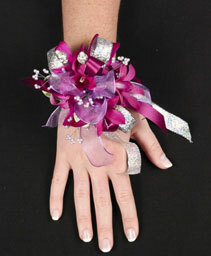 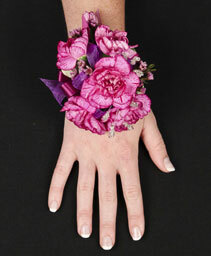 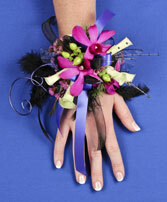 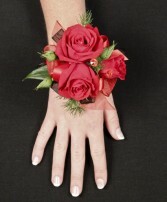 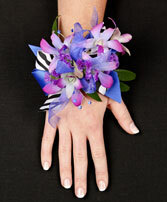 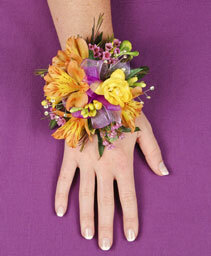 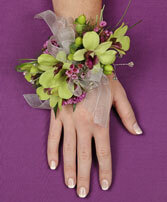 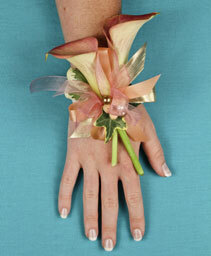 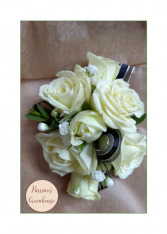 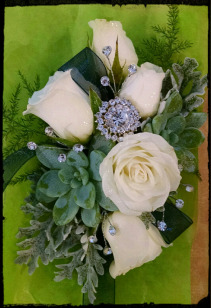 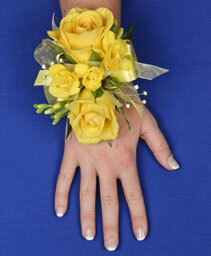 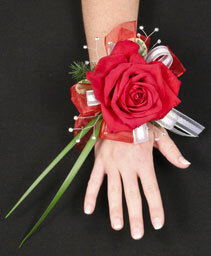 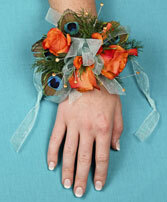 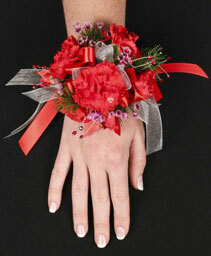 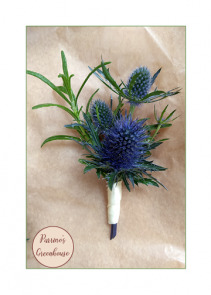 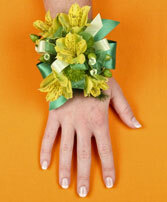 This corsage can come with different colored roses, crystals, succulents and ribbon, please specify what color you would like, so our designers can create something uniquely beautiful for you.